The Left party members say the WikiLeaks founder must be protected from extradition to the US. "This is all evidence that his life is being made difficult in his asylum," [MP Sevim Dagdelen] said. "Nowhere in the western world is there a journalist who has been detained like this. I have never seen a case of someone with asylum being forbidden from expressing their opinions. This is not acceptable under international law. So I think Europe must act in this situation." US-UK do. not. do. international law, 'k? o, wait. What is the name of this international body? o, my, my, "there are nine human rights international treaties, and one optional protocol, from which 10 treaty bodies have been established." Look! Videos! ... on Friday called for United Kingdom authorities to allow WikiLeaks founder Julian Assange to leave the Ecuadorian Embassy without fear of being arrested or extradited. Which one will UK gov ignore? "Four defendants in pre-trial custody are three weeks into a hunger strike protesting what they deem unfair treatment by Spain's judiciary." "I've decided that it is necessary to comply with the injunction, irrespective of whether it should have been given by the (ECJ)...and whether it goes beyond the tribunal's competencies," [President Andrzej] Duda told the state agency PAP. Supreme court justices who would have been forced to retire will be allowed to stay on. The straw that broke the policemen's back : The government's concession to the Gilets Jaunes of a 100 euro bonus to low-paid workers... in the private sector. AND they have been stacking up overtime for the last several years (mostly related to terrorism and "social unrest", with a big peak in recent weeks. There is a bill of 274 million euros to pay... The calendar is now under negotiation with the police unions. "Gatwick Airport's closure due to [UFOs] over the airfield is cancelling British Christmas charters into Finnish Lapland." The data show that in 2017, the average annual income for the lowest-earning decile in Finland was roughly 10,820 euros per person. By comparison, average annual incomes among the highest-earning decile last year was six times that of the lowest earners at 66,100 euros per person. The median annual income last year was 24, 860 or just over 2,000 euros a month. accuracy attributable to public personal income tax data reporting? Yes, personal income tax data is public information and is in Finland published in November each year, as an early Christmas present to statisticians and journalists alike. French President Emmanuel Macron on Thursday told critics of fuel tax hikes "you're right" after 1.15 million people signed a petition following violent "yellow vest" protests. The concessions are expected to be brought to the National Assembly and Senate for votes before Christmas. has been calling on Amazon to conduct collective bargaining for its 16,000 workers. The Leipzig workers are expected to strike until December 24, and the Werne workers until Tuesday evening. [What about North Rhine-Westphalia?] The actions are the latest in a campaign of frequent strikes the union has organized since 2013. "No impact says Amazon." That's what O'Leary kept saying. Verdi wants Amazon to be regarded as a retail and mail-order firm, but the US company says it is a logistics company. Pay rates for the two sectors vary considerably. Amazon says its pay rates, starting at 10.78 ($12.20) per hour, are at the upper range for the logistics sector. Pay rates can rise to 2,400 per month with bonuses after two years, the company says. In November, the Federal Cartel Office said it had received many complaints about the treatment of third-party sellers and would investigate if Amazon was preventing fair competition. "Telephone calls were passed from the Elysée"
Maintaining the nucleocrats' stranglehold on France's electricity supplies is the key issue here. Previous president Hollande who had promised to reduce the share of nuclear in the electricity supply, was humiliated by EDF who demonstrated that they will not obey orders from their "majority shareholder" i.e. the French state. EDF needs to be either renationalized (allowing a coherent national energy transition to be conducted), or disbanded (chopped up into baby EDFs), to allow the UE "strategy" to work. "The new prudential [bail out insurance] will ensure more prudent provisioning of non-performing exposures while avoiding negative unintended consequences on the real economy and on consumers," praised Roberto Gualtieri (Socialist and Democrats), co-rapporteur of the European Parliament. After a swift negotiation, it is up to the [Eurogroup] to endorse the deal. The agreement is a step forward into risk reduction in the context of completing the Banking Union. However, the leaders left off the table the European Deposit Insurance Scheme (EDIS), the remaining pillar of EU's banking union, a guarantee for banks' deposits under 100 billion. Due to well-known German opposition, the conclusions do not even mention the instrument. 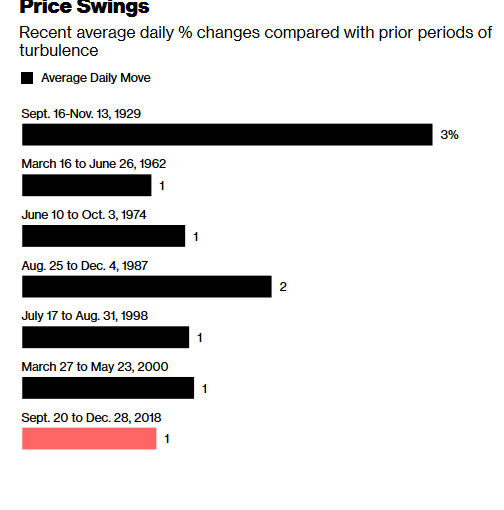 "The Federal Reserve raised borrowing costs for the fourth time this year, looking through a stock-market selloff and defying pressure to hold off from President Donald Trump, while dialing back projections for interest rates and economic growth in 2019." IBM and Oracle have long divided the major Federal government contracts. Right now they are minor players (see graph) in the Cloud market plus their revenues are shrinking year-to-year. Since they can't compete with their technology they are going after Amazon legally just as DEC, MicroData, and a zillion other defunct companies went after IBM and Oracle back in the 70s and 80s. "A regional court in Munich ruled that Apple and its subsidiaries had breached a European patent held by San Diego-based Qualcomm, which has pursued similar cases in other jurisdictions." "German magazine c't reported that a user had asked Amazon to send him all of the data the company had stored on him." Do not upload 'your data' to Facebook. Europe escalated the conflict in May when it began enforcing a new set of regulations designed to give internet users more protections and rights over how their data is stored, used and sold. "And I gather that all of your companies have moved beyond any notion that your job is only to provide a platform, and whatever goes across it is not your affair?" "The case here evolved from a suit brought by consumer advocates in Germany who belong to Verbraucherzentrale NRW. After the German e-retailer Fashion ID embedded a Facebook "like" plugin on its website, Verbraucherzentrale argued that EU data-protection laws supported its demand for an injunction." "In a study released Wednesday, a team of economists and a social media researcher found ...'The challenge is how to put a dollar value on a service people don't pay for.' "
##Mental disorder is a communicable disease. Summer of '68 Called"If you're not part of the solution, you're part of the... malware"
Caught between a crackdown on the use of tax havens and new US [BWAH!] tax laws, the big firms have to pay more tax somewhere and Ireland is getting more than its fair share. This requires Ireland to walk a delicate line - as illustrated in a tale of two bills, one issued to Apple and the other to pharma giant Perrigo. "The McGann family have publicly denounced the mob attack [!] which saw them returned to their home and have appealed for calm." 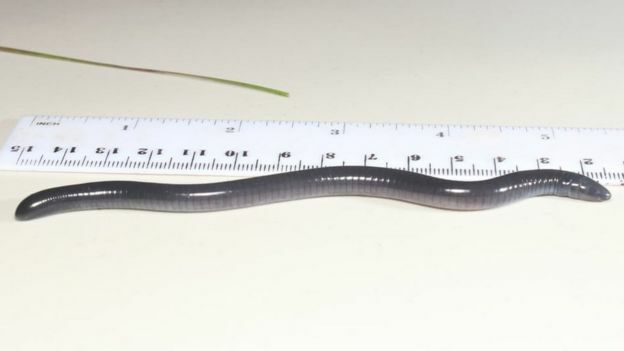 EnviroBuild announced Tuesday that it would be using Dermophis donaldtrumpi as the name for the caecilian -- an amphibian with no legs and poor eyesight. "It is the perfect name. Caecilian is taken from the Latin caecus, meaning `blind', perfectly mirroring the strategic vision President Trump has consistently shown towards climate change." any day ending in 'y'. "Let's be absolutely clear about what Trump is doing with his latest food stamps work requirements rule: He is attacking starving the poor." Sanders tweeted. "We should be expanding programs like food stamps that lift people out of poverty, not making them even harder to access." public comment period is ahh "advisory"
The decision was a narrow 5-4 ruling, with Chief Justice John Roberts siding with the court's more liberal [?] justices [not Kavanaugh] against the administration's request for a stay. This was a vote on procedural rules --not "ideological leaning"-- akin to a "no-fault" decision: a vote for due process. Arguments for and against a stay of lower court ruling in medias res are deemed valid and routinely decided by lower court proceedings. One might say, these orders are often weighted by the presiding judge's unstated opinion of judicial authority to pause judgment, or not, as well as indeterminate merits, argued at the time either advocate files a motion. The twitter reporter's gratuitous assessment of Robert's "ideological leaning" is a hoot. Call me 20 years. CHICAGO (AP) -- Local organizers blamed high costs and not enough volunteers as key reasons for abandoning the rally that would have taken place Jan. 19, when similar marches are scheduled to take place in cities around the world, including Washington, D.C. ...But infighting across the national Women's March movement arose after Nation of Islam leader Louis Farrakhan praised Women's March Inc. co-president Tamika Mallory and declared Jews his enemy during an address in February. The movement has since splintered, with chapter members criticizing the Women's March leadership's response to Farrakhan's anti-Semitic rhetoric as being insufficient. EUREKA, Calif. (KRCR) --"Up to this point, the participants have been overwhelmingly white, lacking representation from several perspectives in our community," the press release went on to say. "Instead of pushing forward with crucial voices absent, the organizing team will take time for more outreach. Health Minister Oly Ilunga also sought to calm concerns days ahead of a presidential election in which millions of people will use touch-screen voting machines. The deadly Ebola virus is spread via infected bodily fluids, so some worry they may pick it up from the screens. So far there have been 549 Ebola cases in the outbreak that was declared on Aug. 1 [SIC], including 501 confirmed cases. There have been 278 confirmed deaths. near the Rwanda border, and across the heavily traveled border into Uganda, which already has begun giving frontline health workers an experimental Ebola vaccine. Director-General Tedros Adhanom Ghebreyesus does not mention the election but expresses concern after protests erupted on Thursday and Friday in two Ebola-hit cities that have been barred from voting on Sunday. In an interview with The Associated Press, President Joseph Kabila contradicted his own health officials and experts with the World Health Organization who have said precautions were taken in collaboration with electoral authorities so people could vote. police fired live ammunition and tear gas to disperse more than 100 people protesting an election delay in the east, blamed on a deadly Ebola outbreak, that means more than 1 million votes will not count. Protesters set up blazing street barricades and some attacked an Ebola response center, with more than 20 patients fleeing. The foreign minister's order, seen by The Associated Press, called the EU ambassador's comportment "reprehensible" and came after weeks of pressure by Congo's government to have the EU sanctions lifted on Emmanuel Ramazani Shadary. The order asks the European Council "urgently" to recall its envoy. I told you Tedros Adhanom is an empty suit! Congo's median age is 19. The mean average of a woman in her first maternity of more than 4 births is also 19. Its birth rate is 3.5 times its rather high death rate. I expect democratically govering 86 million folk under such circumstances presents a challenge. Protests followed the decision as people demanded to vote with the rest of the country. Ebola facilities were attacked. Health teams suspended work for days. The World Health Organization chief warned that "prolonged insecurity" could bring a spike in Ebola cases. Congo was dangerously ["]politicizing["] the outbreak, the International Rescue Committee said. "We do not have Ebola. Kabila is worse than Ebola," said another confused, 19-year-old African. The board disbanded without certifying the results of the November election for the 9th Congressional District, leaving the question of whether Republican candidate Mark Harris will be sworn in on Jan. 3 in doubt. Harris appeared to defeat his Democratic opponent by just 905 votes on Nov. 6. But, the nine-member, bipartisan elections board refused to certify the race's outcome due to a significantly uncanny number of ABSENTEE votes he received in some counties, said J. Michael Bitzer, a professor and ["]elections expert["] at Catawba University in Salisbury, North Carolina. Nse Ufot must be new here. The SDF also hinted that the US pullout, which many see as a betrayal of a loyal ally, could make Syria's autonomous Kurdish administration less likely to keep its IS prisoners in custody. "If Turkey attacks, it will affect the fate of these prisoners," SDF spokesman Mustefa Bali told the AFP news agency. "Turkey may target these prisons as it tries to release these terrorists." Syrian Civil War - Endgame In Idlib? The new draft, with the changes made, will be taken up Friday by the National Assembly and then submitted to a popular referendum on February 24, 2019. The commission drafting the new constitution proposed a new article replacing 68, number 82, which defines marriage "as a social and legal institution." The committee also deemed marriage "one of the forms of family organization", which "is based on free consent and equality of rights, obligations and legal capacity of the spouses." "I thought we did that many years ago," Mr McConnell said earlier this year in an interview with Sirius XM radio. "If we need one at the federal level, I certainly will support it," he said. Presiding over the vote was Senator Cindy Hyde-Smith, a Mississippi Republican who stirred controversy last month after joking that she would attend a "public hanging" if invited by a supporter. Who will speak for Africa with Brussels?
" 'My view is that the Africans got confused because they were taking the European mandate as the basis for discussion,' says [AU chief negotiator Carlos]Lopes." "From left: Rwandan President Paul Kagame, President Uhuru Kenyatta and the Chancellor of Austria Sebastian Kurz in Vienna during the opening roundtable meeting of the High-Level Africa-Europe Forum Vienna 2018. Kenya says it will begin, together with Rwanda, implementing the economic partnership agreements with the EU despite other East African Community countries dragging their feet. PHOTO | PSCU"
"French President Emmanuel Macron, center, poses for a family[!] picture with Rwanda's President Paul Kagame , Facebook's founder and CEO Mark Zuckerberg and IMB's President and CEO Virginia Rometty as he hosts the "Tech for Good" summit over lunch with tech companies CEOs at the Elysee Palace in Paris, France, on May 23, 2018. (Charles Platiau/Pool photo via AP)"
On December 21, 2018 on the sacred day of Winter Solstice, the Wet'sumwet'en Hereditary Chiefs of our five clans contemplated the events that have occurred over the past weeks in the colonial courts. In an act reminiscent of the early days of colonization, the chiefs were forbidden to wear their regalia in the halls of the Supreme Court and had their rights and title to our lands challenged and disregarded by renaming our high chiefs as John Doe and Jane Doe. The Wet'suwet'en reject the renaming of our sacred chiefs as Jane or John Doe and the outright denial of our traditional clan boundaries. We are Gitdumden and we are Wet'suwet'en and we are bound by our laws. For more information visit this Unist'ot'en Camp website. ## What is yours is mine, what is mine is mine. "According to an agreement reached by the European Parliament and the 28 EU member states late last night [16 DEC]"
Reader, dear reader, I have some great news for you. Tesla's Elon Musk, definitely a visionary brain genius and not at all a manic idiot spaz and brazen fraud, has invented the future of mass transit for which we so desperately clamored: A narrow, jagged death-tunnel through which, uh, one Tesla-brand car at a time can, ah, drive ... the person who owns it, plus maybe two or three other people ... from one place to another ... at 49 miles per hour. "Hailstones of a similar size to chicken eggs bombarded the city, causing severe damage to parked cars and roofs. ... Craig Ryan from Australia'sBureau of Meteorology said a combination of humidity and warm temperatures were 'providing the ingredients' for extreme weather conditions." I suspect it is an object invented for juxtaposition to "clean coal" arguments to retrofit P&E investment, forthcoming. It is because there is also brown coal, lignite, which provides more than a quarter of Germany's electricity, and is worse from a pollution viewpoint. Thank you for playing Misplaced Precision. Duka cita yang mendalam atas jatuhnya korban bencana tsunami di Pandeglang, Serang dan Lampung Selatan, semalam. When Krakatoa exploded on 27 August 1883, it cloaked the surrounding area in darkness, inundated nearby shores, and killed tens of thousands. Over 7,000 miles away in England, sensitive instruments recorded air and sea waves, and observers admired and feared the lurid atmospheric effects. But Krakatoa's eruption also instigated scientists from varied specialties to cooperate with each other and to seek the public's help in producing the massive Royal Society Report. The eruption and its aftereffects inspired Tennyson to depict a turning point in Western history and Shiel to imagine a harrowing future of human history's end. Shiel's protagonist laments, "nothing could be more appallingly insecure than living on a planet". 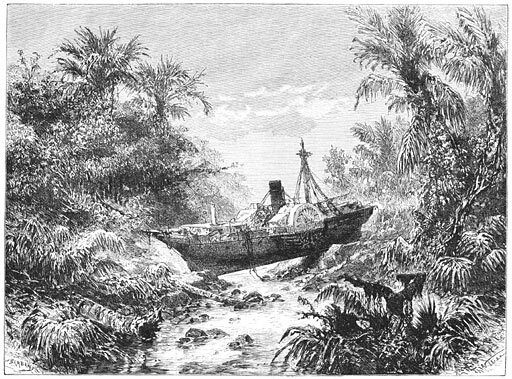 Krakatoa's catastrophic eruption and its worldwide effects demonstrated the precariousness, and the interconnectedness, of life on earth. A large chunk of the southern flank of the volcanic Anak Krakatau island may have slipped into the ocean just minutes before a tsunami hit an Indonesian shore, killing hundreds of people, scientists said on Monday (Dec 24). At least 280 people were killed, hundreds injured and numerous buildings were heavily damaged when the tsunami struck, almost without warning, along the rim of the Sunda Strait, between Java and Sumatra islands, late last Saturday (Dec 22). The timing of the tsunami, over the Christmas holiday season, brought back memories of the Indian Ocean tsunami triggered by an earthquake on Dec 26, 2004, which killed 226,000 people in 14 countries, including more than 120,000 in Indonesia. Two proposals were supported by Parliament that will see the threshold of minimum taxable revenues within the EU lowered to 40 million from the commission original proposal of 50 million, a 5% tax rate imposed rather than the Commission's 3%, and the inclusion of online streaming services under the scope of the plans. As part of the measures supported by Parliament, firms with total annual revenues of 750 million or above will be hit by the levy and companies would pay tax in the country where the revenue is sourced, rather than where they are domiciled for tax purposes. "Facebook gave the companies more detailed data than it had previously disclosed as part of an effort to grow its user base and generate more advertising dollars, the Times reported." "researchers at the University of Guelph in Ontario, Canada, are putting 16 breeds through physical fitness and behavioral tests"
New York Times, 1918: "Kaiser's German agents inciting American Negroes!" New York Times, 2018: "Putin's Russian agents inciting African-Americans!" 100 years of America blaming structural racism on evil foreigners. And you can always hear this long sob story: "You know it takes time." For three hundred years, we've given them time. And I've been tired so long, now I am sick and tired of being sick and tired, and we want a change. We want a change in this society in America because, you see, we can no longer ignore the facts and getting our children to sing, "Oh say can you see, by the dawn's early light, what so proudly we hailed." What do we have to hail here? The truth is the only thing going to free us. And you know this whole society is sick. And to prove just how sick it was when we was in Atlantic City challenging the National Convention, when I was testifying before the Credentials Committee, I was cut off because they hate to see what they been knowing all the time and that's the truth. Thank you all for the well wishes, I'll be attending Harvard in the fall with a planned major in Political Science. Claas Relotius, a reporter and editor, falsified his articles on a grand scale and even invented characters, deceiving both readers and his colleagues. This has been uncovered as a result of tips, internal research and, ultimately, a comprehensive confession by the editor himself.